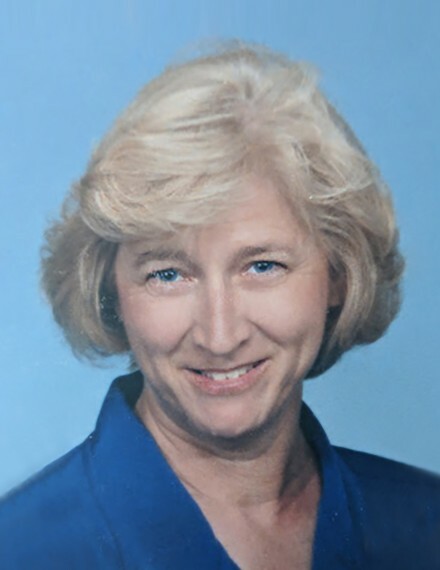 Sandra Gail Moyer 71 of Hickory passed away Friday, March 22nd, 2019 at her home. Born June 12th, 1947 she was the daughter of the late William Thomas Rowell and Marjorie Cox Rowell. Sandy spent a lifetime of service to others. She taught at both Ridgeview and Southwest Elementary Schools, she served on the board of the Family Care Center and volunteered with GHCCM. After spending time at home raising her children, she served as coordinator for the Family Resource Center at Hilltop Apartments. Throughout her life she loved and taught the Sunday school children at Hickory Mennonite Church aka, 3:16 Christian Community Church. She gave of herself unconditionally to many friends and neighbors. Her husband Vernon Moyer of the home; a daughter, Elizabeth Moyer and husband Jeffrey Mayberry of Los Angeles CA; three sons, Charles Moyer and wife Stephanie of Cherryville, Chad Moyer and wife Rachel of Hildebran and Christopher Moyer and wife Lowrey of Wellington, CO; a sister, Glenda Cubbage and husband Matthew of Hickory survive her. She was known as Grandy Sandy to her 11 grandchildren, Marigrace, Davey, Carolyn, Avery, Tommy Rush, Sarabeth, Tom, Madeline, Ezri, Atlas and Julianna (JJ). In addition to her parents, a sister, Peggy Chapman and a brother Rodney Rowell preceded her in death. The funeral will be 6:30 pm Wednesday March 27, 2019 at Jenkins Funeral Home Chapel with Pastor Chuck Hostetter and Pastor Mark Kimmet officiating. The body will lie in state 5-6:15 pm Wednesday at the funeral home. The family will receive friends from 7-8:00 pm Tuesday March 26, 2019 at 3:16 Christian Community Church 720 23rd St NW, Hickory, NC 28601. Memorials may be made to Family Care Center 2875 Highland Avenue NE HIckory, NC 28601. Please sign the online guestbook at www.jenkinsfuneralhome.net. The Moyer family has entrusted arrangements to Jenkins Funeral Home and Cremation Service in Newton 828-464-1555.